The Bluewater District School Board (BWDSB) serves an area of 8,763 square kilometers and is defined by the borders of Bruce and Grey Counties in Ontario, Canada. The Board is responsible for the education of 18,659 students in 42 elementary schools and 11 secondary schools. 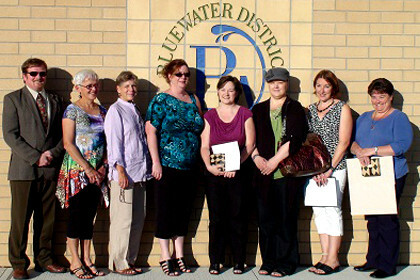 BWDSB employs approximately 3,500 permanent and casual staff. In 2006, Bill Rumley and his team were facing a myriad of challenges with their hardware and software infrastructure. After attending a solutions briefing on VMware and knew logically that this was the way of the future. They started with 2 separate environments – 2 servers in each. And it was a terrific solution, in the short term. They quickly found however, over the next 2 years that they chewed up resources and jammed up memory much faster than any of them could have anticipated. At this point they also knew that their hardware was beat. To top it off, VMware changed their licensing structure and things were getting expensive for the School Board. With server deployment time reduced, this allows them to be far more responsive to the needs of their teachers, administrators and students. And no new hardware is required. Hyper V has allowed them to put a Domain Controller, File Server and SC Configuration Manager on a single box at each school. It is extremely efficient and is managed remotely with a single management console by the IT team. Power outages are a regular occurrence for the Board. With SCOM and remote cards, Bill Golem can safely and securely power-up a remote server from his office in Chesley before anyone at the school even knows there was a problem. Bill’s team used to have to work nights and weekends to get updates done. With their virtual environment, they now update anytime they want without end user disruption because of the high availability of their server environment.